Carriage Stop clamps to front of lathe bed to provide adjustable stop for multiple-pass turning. Speeds-up machining process and helps to lock carriage in position for facing cuts. 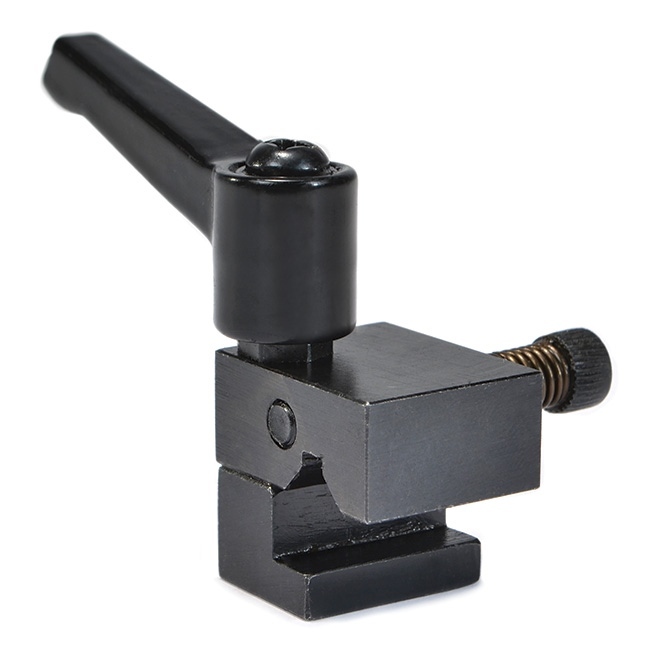 Locking lever allows quick adjustment without tools.